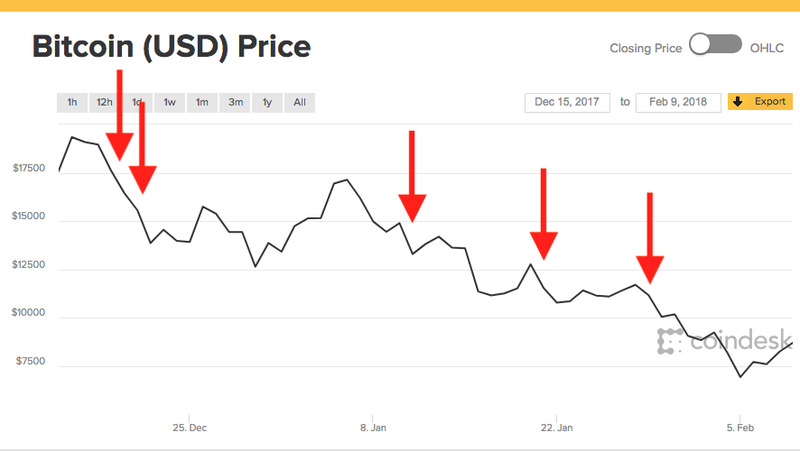 CoindeskA series of sales from the Mt Gox horde has coincided with a collapse in the price of bitcoin. Bitcoin holders (or “hodlers” as they call themselves) are heaping abuse on a lawyer whose job is to sell bitcoin recovered from a massive 2014 cryptocurrency theft. The sales are depressing the price. Bitcoin represents nothing except its price, and the price reflects supply and demand. Complaining about sales that depress the price of bitcoin is therefore like complaining about bitcoin itself. Kobayashi is in charge of liquidating the assets of Mt Gox and repaying the exchange’s thousands of users, many of whom thought they lost everything when Mt Gox collapsed in 2014. To make those creditors whole, Kobayashi is selling Mt Gox’s remaining Bitcoin assets and handing them the cash equivalent of what they lost, or at least a percentage of it. The good news for Mt Gox customers is that so far he has generated $US400 million – most of the value that was stolen. No good deed goes unpunished, however. 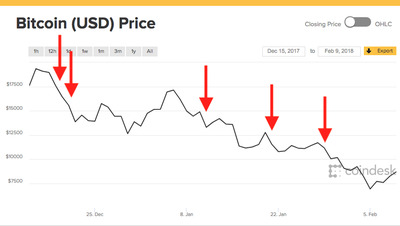 Bitcoin “hodlers” (“hodl” is a self-knowing typo for “hold”) are angry at Kobayashi because, as this chart from Bitcoin enthusiast @matt_odell shows, the Mt Gox sales have been so massive they appear to have either caused or contributed to the Bitcoin crash that halved the price since Christmas. And Kobayashi isn’t done yet. He has another $US1.9 billion to sell, according to Bloomberg. The more he sells, the lower the price goes, the angrier the hodlers get. That anger is misplaced, however. All they are complaining about is the fundamental condition of bitcoin itself. They are complaining about the clearing price of supply and demand. They are ridiculous. In 2014, Mt Gox was the largest bitcoin exchange on the planet. It handled 70% of all trades at its peak. It was hacked by unknown thieves who stole 850,000 bitcoins, or about 7% of all bitcoin outstanding at the time. It was valued at more than $US450 million – back then. The value of bitcoin has massively increased. In 2014, one bitcoin was worth $US600. Today the rate is around $US9,000, a 1,500% increase. About 200,000 coins were recovered, unstolen, from the Mt Gox mess. That was a stroke of luck for creditors, because those 200,000 coins are worth more now than the 850,000 coins were worth at the time of the hack. They are now worth enough – more than $US2 billion – to pay back everyone who lost bitcoin in the 2014 theft. Every time Kobayashi sells a piece of the Mt Gox horde, the massive scale of the sales tanks the price of bitcoin. “Nobody can be this clueless,” says Reddit user michelmx. “Like an auction, Why even use an exchange? ridiculous,” adds ChildishForLife. A big part of their complaints is that Kobayashi sold the coins on an exchange, getting the spot market price. The angry hodlers say he should have used an auction process or perhaps quietly placed chunks of the horde in private sales, not via an exchange. That way, they say, the horde could have been sold incrementally so that the price would not go through the sudden collapses (that make them all poorer). In the long run, it doesn’t matter whether bitcoin are sold privately in swaps that never register on major exchanges. Ultimately, if you dump an extra 200,000 coins onto the market the extra supply will depress prices. This is literally the lesson that central banks learned in the 1920s, when the Weimar Republic thought it could get away with printing extra bank notes without anyone noticing. The mere existence of supply sets the price, not the manner in which it is sold. Bitcoin is only a price. It is not a physical object, nor a claim on an underlying asset, nor a currency backed by a bank, nor a commodity that has a use-value beyond its price. It is only a price, and the price reflects only supply and demand for bitcoin. Bitcoin is merely a string of code that represents a fluctuating price. There is nothing to complain about, because bitcoin is literally made of nothing. Except its price. Complaining about sales that depress bitcoin is therefore the same thing as complaining about bitcoin itself.